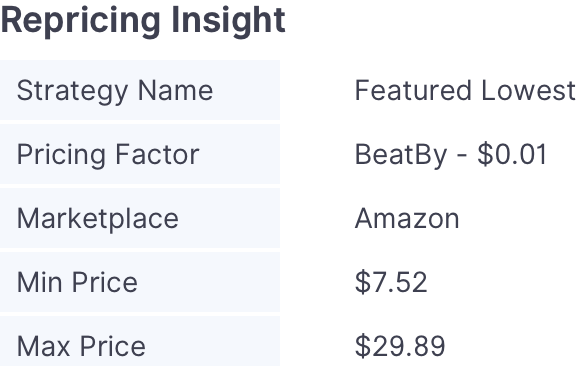 Listing Insights will allow users to gain more insight into how their price changes are being made. This information can be accessed from your Listing History Page or your Insights Page by clicking the "i" icon that correlates with the price change you want to see. Users will have a user friendly version of how their price changes were made. 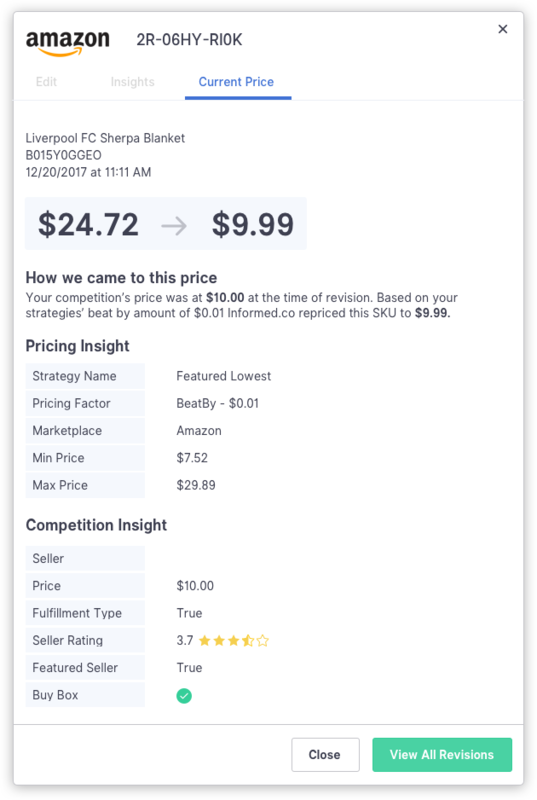 Repricing insight will provide important information including strategy used and pricing factor. We will also display your current min and max prices at the time of the price change. 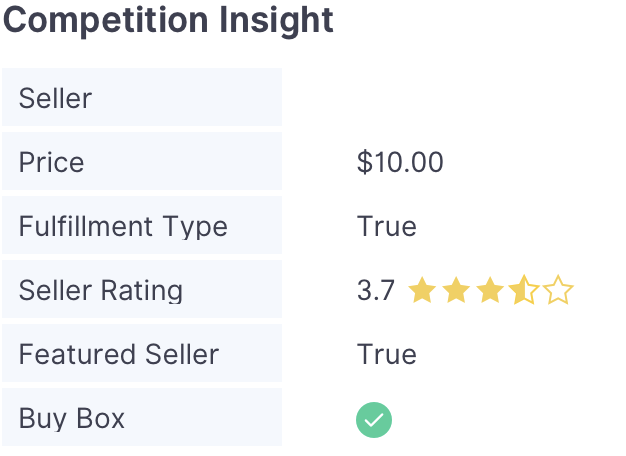 Competition insight will provide information from the competition selected based on your strategy. This section includes information such as a seller name, featured merchant status, and competition price.